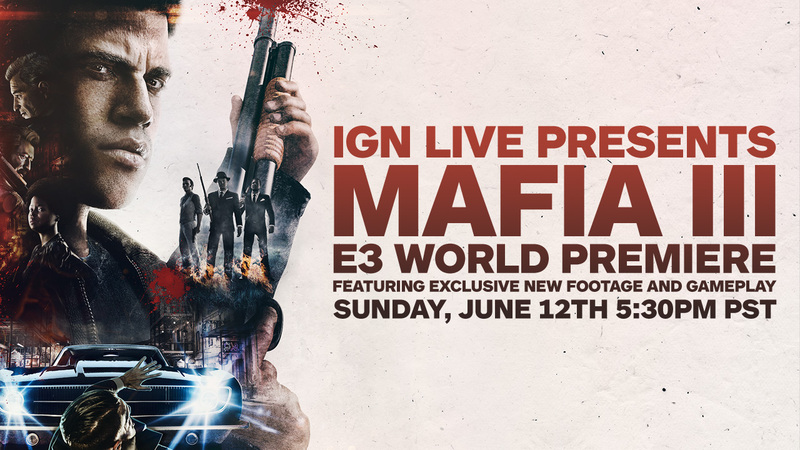 IGN’s bringing you the Mafia III E3 World Premiere on Sunday, June 12th at 5:30 PM PT. Tune in then for the first look at the Mafia III E3 demo, including exciting new footage, gameplay, details on the story and much more. In fact, head over to IGN for info on how to watch it all. That’s only half the experience, though. We’re bringing the streets of 1968 New Bordeaux to LA. You wanna learn more? Well, we ain’t talkin’. Yet. Keep following us on Facebook and Twitter for more details on Mafia III at E3 2016 as we get closer to the show – we’ve got plenty of news to share in the coming weeks! If you’re going to be at E3, come visit 2K in the South Hall at booth #1601. Trust us, you won’t be able to miss it.